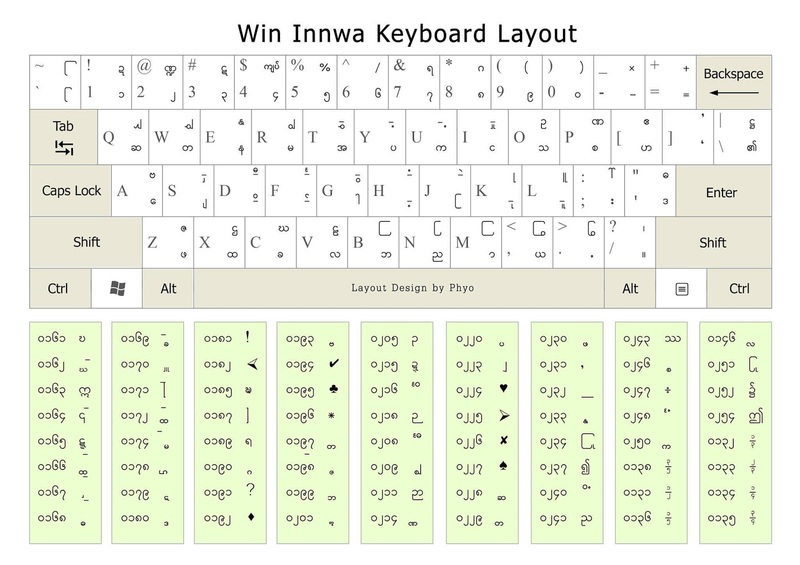 Win Innwa Keyboard has become popular as it is useful and can solve many complicated Myanmar character issues. However, many of us cannot remember all the alphabets on the keys. One key can contain four (4) alphabets. It is very hard to recognize all of them. 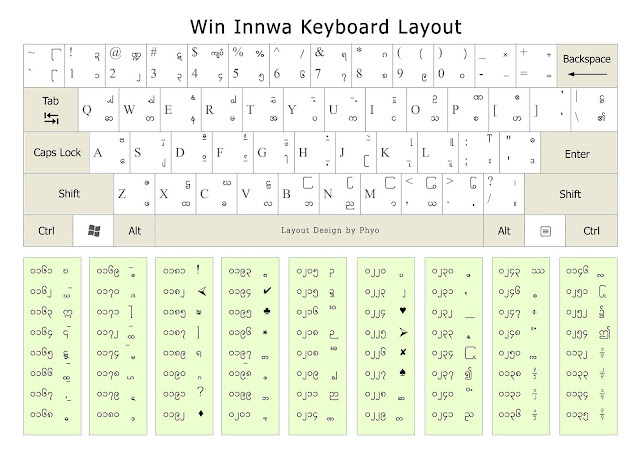 Therefore, Win Innwa Keyboard Layout is a handy one to reply on. Please click on the graphical layout below and then right-click to save into your computer or print it right away. However, definitely it is only for Windows Computers.